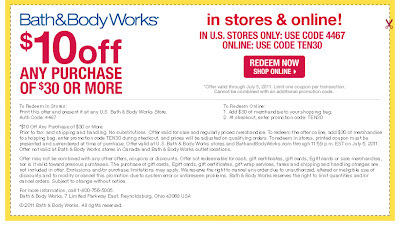 Bath and Body works semi-annual sale is still going on with merchandise up to 75% off the regular price. It's the only time of year that my fav products, exotic coconut scent, are available so I'm gonna stock up. Here is a printable or online coupon to save you more!